IT-OPTICS s.a. is an IT services company, one of whose key focus areas is free software..
Based in Mons, IT-OPTICS offers the experience and skills of its engineers, specialised in multiple domains such as the next, Windows, networks and databases to help its customers. Our engineers Aim is to bring the IT infrastructure to its maximum operational level using the power of Free Software and GNU/Linux, without ignoring commercial and proprietary software. The company IT-OPTICS is made up of around 10 engineers and has today become one of the key players in the Belgian OpenSource market. Over the past three years, the company has invested in working out dedicated solutions in the world of logistics. As well as the concept of IT services, IT-OPTICS is the partner of choice in implementing EPC IS solutions, the exchange and sharing of information on a supply chain's logistics flows. 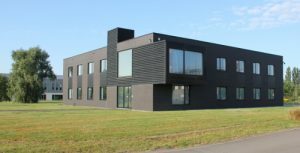 The company relies on solid partnerships, embodied within the group by its major shareholder CEDREBEL, both in terms of R&D and its historic closeness to the Multitel research centre.